Isaiah 40:31"But they that wait upon the LORD shall renew their strength; they shall mount up with wings as eagles; they shall run; and not be weary; and they shall walk; and not faint." I have heard my pastor say many times over the years that this christian life is a marathon, not a sprint. This quote has never mean't more to me than it does now. I would love more than anything, to send you an exciting update about all the lives being changed. But four months in; we are realizing this ministry is a marathon; not a sprint. Right now, our days are filled with taking the baby steps that will eventually lead to BIG (ministry) steps. Meagan and I have finished our first xhosa book and we are now feverishly working on our second. There is a total of 6 books that we will try to complete by November of next year. Meagan is progressing well in language school. I am so proud of her because she is successfully working two full time jobs; language school and motherhood. While practicing, practicing, practicing the language, we are doing the same things you are hopefully doing in America. Making contacts, meeting people, and telling people the good news of the gospel. We are currently praying for the "Grwebi" family. They are a sweet family that lives near our church. They haven't attended yet, but seem to be receptive. We are praying they will come to check out what the weird white people are doing in their area. I also want to request prayer for "Nosipho." She is a kind employee of the gas station I frequent. After a short conversation about church, she asked for prayer. This lady believes she is going to "make it" into Heaven because she has a "pure heart." I informed her "There is none that doeth good, and sinneth not." Im praying God will do a work in her heart. Unfortunately, people like NoSipho are the majority here in South Africa. The more people I meet, the more burdened I become. They need the truth. We need more workers. The harvest is truly plenteous but the laborers are few. With spring time approaching, many churches use this season to focus on missions. We have had several of our supporting churches reach out to us with special notes of encouragement, extra prayers, and even extra financial support. Whether this includes you or not, we just want to share that we are thankful for each and everyone of you. We are always humbled when we think of the love we are shown from God's people. We are praying for fruit to your account. and also about how much more we can be doing for world evangelism. * We celebrated Mercy's first birthday this month! * we are excited about Easter services, and praying for souls to be saved. * Praying about details of church plants. Will share details in the upcoming months. This month Meagan and I will be starting a new curriculum in our IsiXhosa studies. Because we were able to do 4 months of language school in 2015 we got a head start on our Xhosa this time around. We were able to finish the first book in 2 months. This book usually takes about 5-6 months to complete. Pray for us as we step into an advanced study now. In February we were thrilled to pick up 2 new supporters! We left the field at 94%, and are currently close to 96%. Now that we are on the field, we see just how much money ministry takes each month. There is always so much more we can do; and so many more people we could help with just a little extra support. We are praying to be at 100% by the end of this year. I have also had the opportunity to attend a couple of different "wakes"since arriving here. A wake is the week leading up to a funeral in the Xhosa tradition. Every night that week there will be singing, preaching, and a word from the family.I use the term preaching lightly, because there is OFTEN a lot of crazy doctrines going on. In a culture that revolves around ancestors; death is something not to be taken lightly. That being said, wakes can be awesome opportunities. They give the missionaries a special chance to preach the gospel to people who do not attend church. Sadly, these "wakes" happen often. Please pray for the people of South Africa. Prayer Requests and special announcements. 1. We celebrated Silas's 3rd birthday. 2. A few weeks ago, I made a Xhosa speaking friend named Tembekile. He helped put in my alarm in my home. My wife and I are praying for him and his family that they will be saved. 3. We will be helping missionary Mark Coffey with a junior camp and a teen camp at the end of this month. Please pray for souls to be saved. February. The month we celebrate “love.” My wife and children have been going over the biblical descriptions of love, and it sure is convicting. Patience, kindness, humility, long suffering. I love this quote my wife found on the internet, “God loves through believers, who act as channels for his love; they are branches who must abide in the vine if they are to have that love. We have the assurance that we have passed from death to life because we love others.” When I put this into perspective of how I’m loving the Xhosa people God has called me to, I’m eager to do more. To love deeper. I’m so thankful for a God that looked past my sin, and loved me anyway! This past month we really started digging into the language. This can sometimes (A lot of times) get frustrating, but with every sentence we learn, we feel more connected the Xhosa people. So we are motivated to keep working. I have also been blessed with opportunities to preach and was able to preach a 5 minute message in Xhosa in a children's class. When we were here in 2015, I had the opportunity to disciple a little boy named Miso. At the time he was 9. I was excited to see he was still faithful in church when we returned a couple months ago. Miso is still my buddy, and now he helps me with visitation on Saturdays. I’m praying God will send more young men just like him, to train and disciple! While we are in language school, we are attending a church planted by missionary Mark Coffey, in the township Kwadwesi. While making this 30 minute drive to church, we pass about 3 other townships. You can look in any direction and see house after house, shack after shack. There will always be people walking, children running around unattended. I don't have numbers or statistics for these exact townships; but as I make that drive to church every week, I think of the thousands ​of people living on top of each other. There is 1 gospel preaching church for them to attend. There needs to be more. Please pray that God will send laborers and that we can learn this language as quickly as possible. Time flies when you’re having fun. 2018 was the fastest year of our lives. Our family had a new baby, finished up deputation, and moved across the world here we are, just a few weeks into being in our new home, and it is the beginning of a new year. What a perfect time to set some goals and get started in this ministry God has called us to. My wife and I are excited about beginning language school in just a few days, and we covet your prayers. Although many here speak English we know this is crucial in gaining the hearts of the Xhosa speaking people, and starting churches. Although December was busy “setting up house,” and with holidays, we did not lack in ministry opportunities. We have been attending and working at New Life Baptist Church in the KwaDwesi township. We were also thrilled to be able to help in the first year of Camp Rhino. This was a teen camp run by missionary Mark Coffey. It was a tremendous week with 19 professions of faith. I was also blessed to be able to preach at Bro Jeremy Hall’s church, Soweto Baptist. Here a convicted murderer, shortly out of prison, trusted Christ as his savior. I am so thankful there is no sin too big for our loving Savior. Also at Soweto we had a great Christmas service preaching and testifying about Christ. My family had a very blessed Christmas this year. We were sure to explain to our children it is because of the sacrificial giving of our supporting churches. We had many give above and beyond their regular support; and we are so thankful. We pray that you all had a blessed Christmas and a happy new year as well. 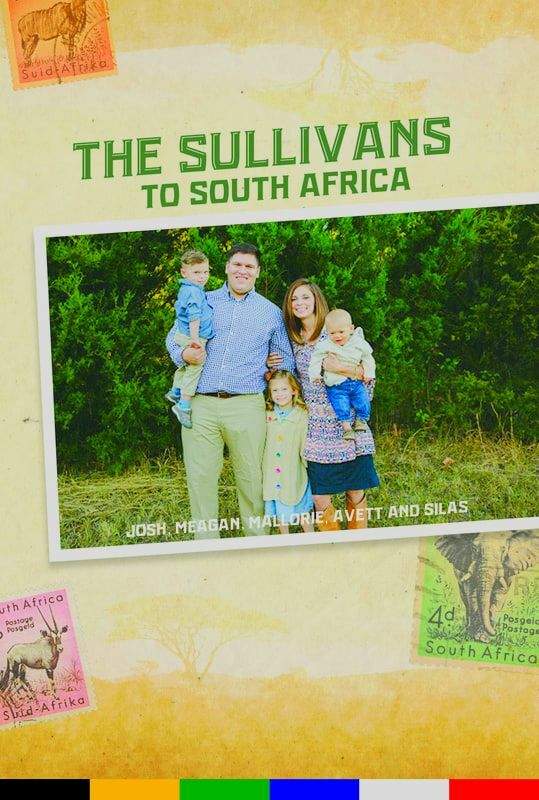 The Sullivans going to South Africa are now the Sullivan’s in South Africa. We arrived on the 29th of November and It has been a whirlwind ever since! Upon arriving, we immediately began buying appliances and furniture for our new home. We did this in a hurry because two days later, we set off on an eleven hour drive to the city of Durban. This is where our attorney is located, and we had to apply for our visas as soon as possible. The process went very smoothly. While we were there, we had the pleasure of attending services with The Matney family. It was exciting to see how God is blessing their ministry in just the 7 short months they’ve been there. We are finally getting over our jet lag and the children are adjusting well. Thank you for all of the prayers and extra love offerings; we can’t tell you how much they mean to us! A special thank you to our home church, Fellowship Baptist Church in Maryville, TN, and our Pastor Tom Hatley. They have been behind us 100 percent since before we even started deputation; and they gave us an incredible send off service. It was definitely a night we will never forget. We have been asking for prayers and support for our visas for months now. We are extremely happy that this phase is finished. Of course we will not get an answer immediately. It is now a waiting game but we can stay in country as long as they are reviewing our applications. This is a huge blessing because the longer it takes them to review it doesn’t matter we are allowed to stay in country until they give us an answer. We have faith that our God will meet our needs. Please continue to pray that the home affairs will be kind and accept us on the first try. Now that we know we can stay in SA indefinitely we will take the rest of December and get the rest of our house furnished and set up. We will be ready to begin language school in January and help in a local church that has already been established here in Port Elizabeth. We are very thankful for the Mark Coffey, Kevin Hall, Jeramy Hall and Stephen Underwood families who have graciously taken time to welcome us and help us during this transition. They have bent over backwards for us and we greatly appreciate their help. Please pray for these families as they continue to service God in their own ministries and church plants. Although it doesn’t feel like it to us (80 degree weather,) Christmas is upon us! We pray you have a blessed holiday season with your families and church families. We are eternally thankful for the gift of Jesus Christ, our reason for celebrating each and everyday! 30 months. 2 new family members .4 different homes. 268 churches. 89,198 miles. 32 different states. 2 mini vans. Countless new friendships. 96% of our needed support, AND deputation is finally coming to an end! We have so many emotions going on in the Sullivan household these days. On top of all those stats as we reflect back on the last couple of years; we are in awe of all the Lord has done! It has been a time of “tough love,” a time of growth, and a time of sweet fellowship. We have made lifelong friendships; and God has gently molded our hearts. We are a little nervous, and a lot heartbroken to leave friends and family; But more than that we are excited and ready to start the ministry God has called us to. We are leaving in 24 days! We covet your prayers as we prepare bags, and move out of our house. Thank you very much to all who have purchased shirts. Because of you we have made nearly $1,000 for our visa attorney fees. Thank you to those who have donated to our set-up fund and those who monthly support the ministry. There are truly not enough "thank yous," to go around. We are humbled when we think of all the folks who have sacrificially given, so we can do what God has called us to. We are excited to put Gods money to work in South Africa. "The Harvest truly is plenteous, but the laborers are few." As October is upon us, I think of the changing weather, our favorite fall "past times," and the harvest. Which brings me to this verse. We've got to get to work my friends. Summer is drawing nigh, and there are souls that need to be snatched up from Hell. We NEED more laborers. Will you pray about your part in world evangelism? With that being said, we are so excited to get to our field, and get to work. 56 days! Preparations have begun, and our minds are in South Africa. This week we are spending all of our time, cleaning out and getting ready for a garage sale where we will sell 80% of our belongings. We sent in an application for housing, and we purchased a vehicle! It's getting real! Please pray for my wife and children as this is an emotional time for our family. September was an exciting month. We celebrated mine and my daughter's birthdays. (Thank you to those who sent cards.) We made new friends in conferences, and we were able to take a family vacation with my wife's side of the family. This was especially special because my brother and sister in law are home on furlough from China. It was the first time the entire family was able to be together in years. We are still working our our visa situation. The plan is still to apply in country when we arrive in SA. We have been very blessed to receive 2500$ from 3 different churches ​to help with the $6000 we need. We also have been selling shirts if you anyone is interested. They are 15$ a piece and we can ship if needed. All of these funds will go to our unforeseen attorney fees. I would like to start off this month's report with a thank you. First, thank you to my home church, Fellowship Baptist Church in Maryville, TN and my Pastor Tom Hatley. Since the beginning of our deputation they have done nothing but help us. Whatever we have needed, FBC has been there for us. I also want to say, thank you to my wife Meagan for all that she has done while on deputation. As I am writing this letter she is packing as much of our belongings as she can into black army bags. I am very thankful for her selfless spirit and Godly attitude. Thank you to all of our supporters who have been behind us. Some of you have been supporting us for over 2 years while we finish our deputation. God bless you all. August has always been the slowest month of the year. I have spoke with other missionaries on deputation who have expressed the same. But, this month we were richly blessed to have a full book. We took our last trip out west to Kansas and Missouri. We were again able to meet some great churches and Godly people. Only 85 days until we leave for South Africa. This is very exciting but also stressful as we begin to pack our bags and sell most of our belongings. We are now at 90% of our needed support but this means we still need %10 to be fully supported when we leave. As we mentioned last week we are going to apply for our visas when we arrive in South Africa. Please continue to pray about this. That is correct we are leaving for South Africa in less than 100 days. Ninety-seven days from now we will be taking our family across the World to follow Gods will for our life. We are very excited to get to work and to help turn Africa upside down for Christ. Even though we are ready to go, we are only at 88% of our needed support. This is great and we praise the Lord, but we want to be fully supported when we arrive in South Africa. This means we still need 12 new supporters to reach our goal. We have been asking for prayers for awhile now, because we've known the visa process is a difficult one. Other missionaries have been rejected, and quite frankly, it has been stressful. Just last week we got news the consulates here in the US are no longer giving volunteer visas.This felt like a punch in the gut. But my wife reminded me of Jeremiah 29:11- 13, " For I know the thought that I think towards you, Saith the Lord, thoughts of peace, and not of evil, to give you an expected end. Then shall ye call upon me, and I will hearken unto you. And ye shall seek me, and find me, when ye shall search me with all your heart". So, after much prayer, I am excited to share we have a new plan of action. We don't want to be twiddling our thumbs trying to get our visas, a week out from our departure date. So we have hired an attorney in South Africa to walk us through this process, in country. She has successfully helped missionaries in the past. This is exciting because we feel it will ensure our visas, and eventually the goal of permanent residency. Although it is exciting, it is quite costly. Once arriving in South Africa, we now have to fly straight to Durban where our attorney can file the necessary paperwork. This extra flight is going to be an additional $400. On top of that, the attorney fees add up to about $6000 ($1000 per applicant). That seems like a huge number, but if it will allow us to get where God has called us, it is worth every penny. We are trusting the Lord to provide for these extra expenses, and have no doubt that He will. 105 days until our departure date! What a blessing and an encouragement to start our countdown! July was a fun month! We celebrated our 8th wedding anniversary, our middle son turned 4, and we did a lot of traveling. We were excited to be home for our own church’s VBS! I was able to preach in our “gospel station,” and we saw 10 kids profess Christ during the week. Glory to God! We want to say thank you to all of those who have been praying for our visas. 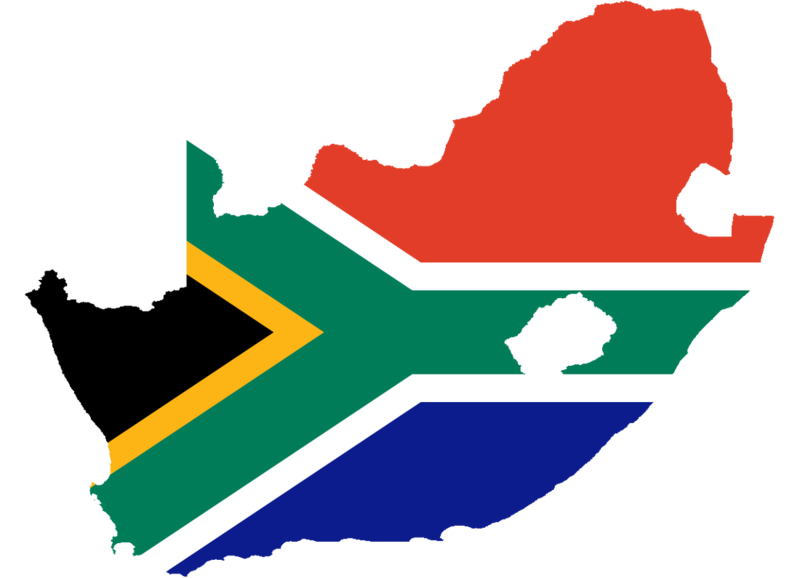 South Africa has changed some of their rules concerning visas in the past month. Plans change and we have learned while on deputation to be flexible. We know God is in control and he will provide as he always does. Four new churches added us to their missions team and we are closing in on 90%. We are very excited about this but we still need about 10 more partners so we can be fully supported when we leave for the field. Thank you to all of those who have given. We want to give a special thank you to Pastor Chad Gordan and the Lighthouse Baptist Church in Jackson, Ga. They recently took a trip to South Africa and they were able to take four large bags for us. Of course when we think of July, Independence Day is often our first thought. What a privilege to be born and raised in a country that was founded on the gospel. Not only that, but the “Bible Belt,” of America, with a Church on every corner. I can’t help but think about how drastically different my life could be if I were born in South Africa. You see, there is freedom to worship there, but whom would I be worshiping? With a “hodge podge” of religion, I would most likely be lost and on my way to Hell. "BUT GOD, who was rich in mercy, for his great love wherewith he loved us". We are excited to go share the good news with our friends in South Africa!